Spring is here and along with the warm temps and April showers comes plenty of lush, green grass. One problem we as cattle producers face is grass tetany (hypomagnesemia). Instead of going on about how what this problem is and how we deal with it, I thought I would reblog a post from Jesse Bussard at Pearl Snap Ponderings. Jesse is a grad student at the University of Kentucky focusing on livestock-forage systems. So she’s a lil more qualified for this discussion than myself. Check out her discussion about this ailment and how cattle producers deal with the problem. It’s that time of year again, when cattle producers should be concerned about grass tetany. Grass tetany is a common ailment in the spring and fall of the year when cattle are grazing lush grasses in large quantities. The cause of this ailment is a low level of magnesium (Mg) in the plant, which leads to a magnesium deficiency to develop in the bovine consuming the forage. 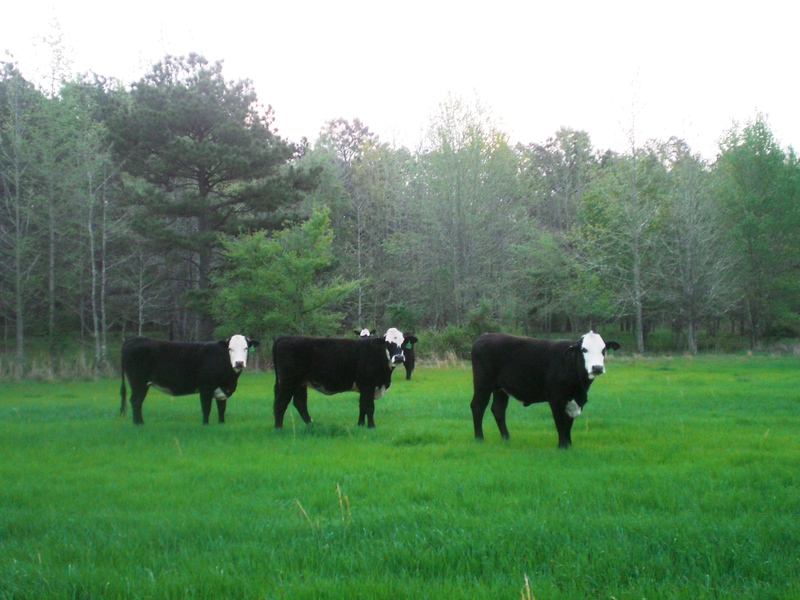 Grass tetany, also known as hypomagnesemia, may only affect 1-2% of grazing animals. There are many reasons why a forage grass may be low in Mg. High fertilization of grasses with potassium (K), also known as potash, depresses Mg uptake in the plant. High amounts of nitrogen (N) fertilization can also increase the plant’s fatty acids which may also depress Mg availabilty. Low soil temperatures and high soil moisture content that leads to low soil oxygen content, in the spring and fall, may also decrease Mg uptake by the plant. An animal’s susceptibility to grass tetany increases five days after the mean daily air temperature exceeds 57 degrees Farenheit (following a period below this temperature). Symptoms of Mg deficiency include nervousness and hypersensitivity, muscle twitching, staggering, and convulsions. A change in the blood serum Mg level will also be seen. Mg values < 1.0 mg/100 ml are considered critical in cattle. Normal levels are between 1.5-3.5 mg/100ml. There’s an old saying that goes, “An ounce of prevention is worth a pound of cure.” That’s definitely the case with grass tetany. Producers can do several things to ensure that this problem does not occur in their cattle herd. Providing a magnesium supplement, whether free choice or included in a feed mix is one great option. Practical fertilizer management of pastures or hay fields is also key. Avoid excessive N fertilization in the spring and if applying manure, do so in a responsible manner, to ensure that available K levels in the soil are not in excess. There is always that 1-2% chance that a cow may still become hypomagnesemic. In that situation, producers need to have intravenous calcium and magnesium salts on hand. Immediate treatment by intravenous injection of Ca and Mg salts will help to alleviate the symptoms of grass tetany and hopefully save the animal. via Forage Facts: Grass Tetany | Pearl Snaps’ Ponderings. i’d like to post your article on my web site. We have an extensive library of info re: magnesium deficiency in horses and your article is just what I try to tell people re: why horses get goofy in the spring. please email me at performanceequine@pacbell.